Ever since I first saw the Pochette Metis, I couldn’t get it out of my head for the longest time. I went into the store on Champs-Elysees in Paris a few months ago just to have a look, only to be told that they only get a few pieces per day in the morning, and they get sold out within minutes from opening (!!!) There seems to be a ridiculously long waitlist for the bag in other parts of the world and I heard that there are over 200+ people on the waitlist who pre-paid for the bag and are just aimlessly waiting for one to come in stock for them – which is something I could never do. Since then, I repeatedly put it on/off my wishlist, and prioritized on getting other bags on the list in the meantime, but on my recent trip to London, I was able to easily locate one at Selfridges, which was quite unexpected. The Pochette Metis is really all I could ask for in a bag. Ever since the moment of purchasing, I have been wearing it non-stop. It really goes well with any outfit, and is very easy to style. With 3 compartments inside and a zipper on the back, it is very roomy, and fits a ton without looking too big/bulky. 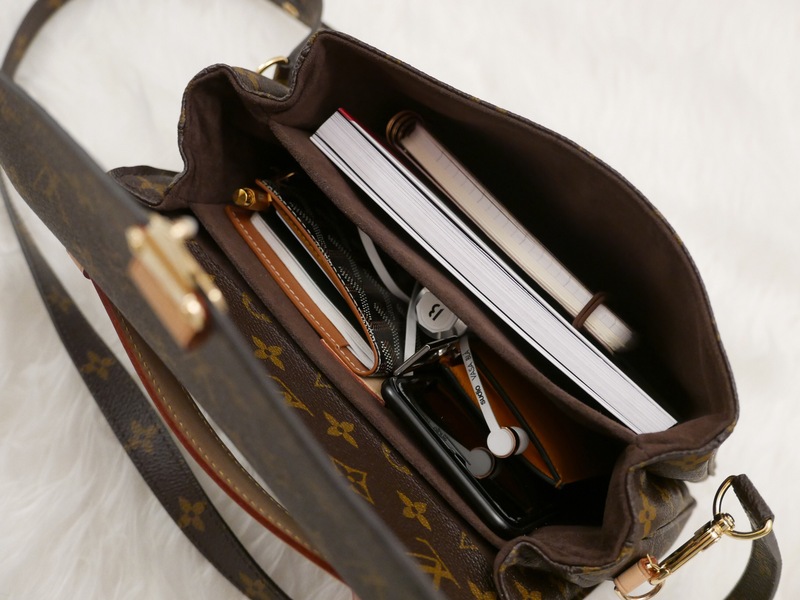 It can be worn crossbody, also on the shoulder, by hand, and as a clutch without the straps. It’s probably the most practical/functional bag out of my whole collection. What I love most about this bag, though, is the “availability” of the bag – or lack thereof. 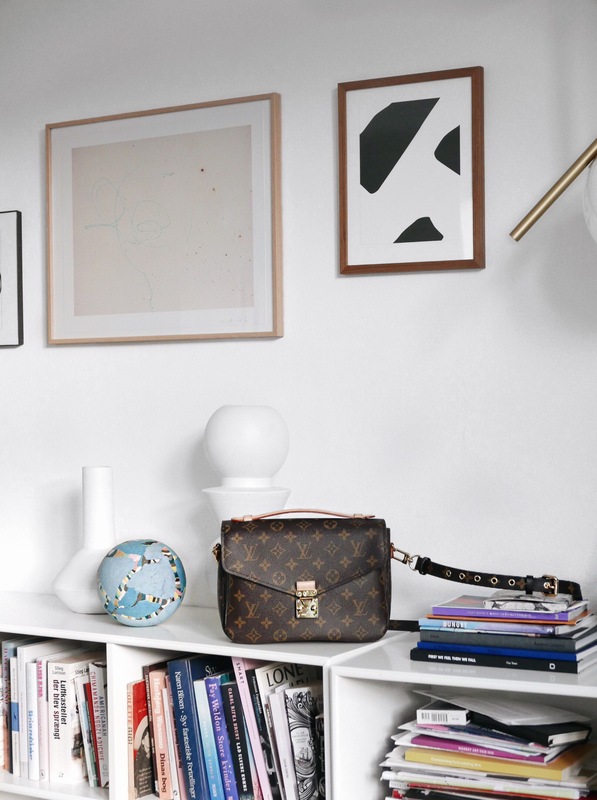 The Pochette Metis, being a discontinued bag from previous season, was recently brought back due to its popularity, and is not available to purchase online. (You will notice a “call for inquiry” button, where for other bags it will say “place in cart”). 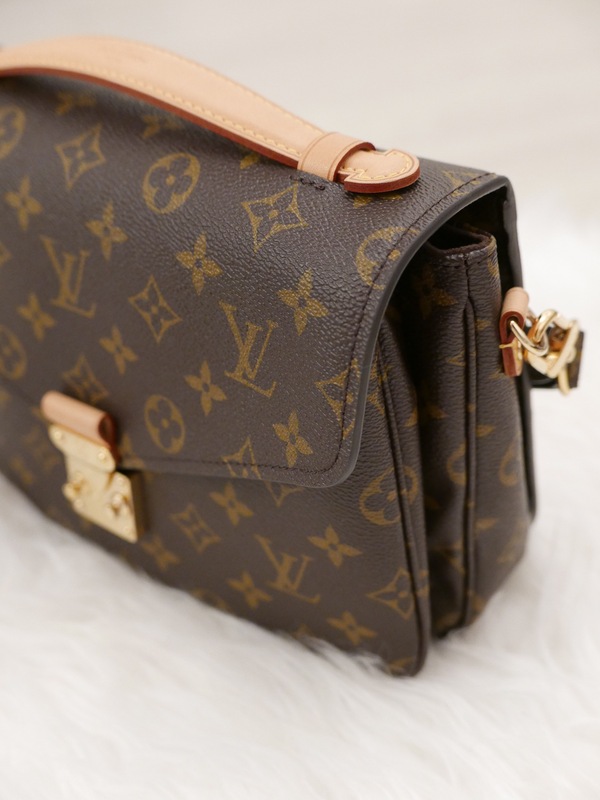 As I’ve mentioned, it is very hard to come by even at the boutiques, and you hardly see the bag on the streets (I only saw 3) Needless to say, Louis Vuitton’s marketing team is surely doing their job right, if they got me sold on this bag. Another pro is the (relatively reasonable) price point: that might be especially true because I got in in Europe and am getting my VAT refund, but generally speaking, the price isn’t ridiculous and doesn’t break your bank – I think Louis Vuitton could have charged more for this, with the scarcity of the item, but I’m glad they didn’t. Snap Closure: One major problem I have with the bag is that I find the snap closure a bit difficult. Opening of the bag is done by pushing the metallic piece, which is easy, but to close the bag you have to find the tiny hole to snap back in, which will also naturally cause scratches on the metallic surface. It’s even more difficult to close when the bag isn’t full. Glazing: Another problem I heard several people encountered with the bag is the glazing. I have not experienced this yet so I can’t say much but will update if I do. Leather Tan? I know some people use bandeaus to cover up the vachetta leather to prevent the leather from damage/stains, but I actually love a good natural patina on my LVs. I prefer the weathered look and natural aging that the passage of time provides. If you are not like me and are concerned about the tan, do consider getting a bandeau or using a stain repellent spray. … and I could easily fit in some makeup items and sunglasses if I wanted to, as there is a lot of room left. The Pochette Metis is truly a classic piece that will never go out of style. I can definitely see myself wearing this even as a 60 year old grandma, which is why I love it so much and plan to cherish for life. I hope this review was helpful in some way, and would love to answer any questions if there are any so feel free to ask away! 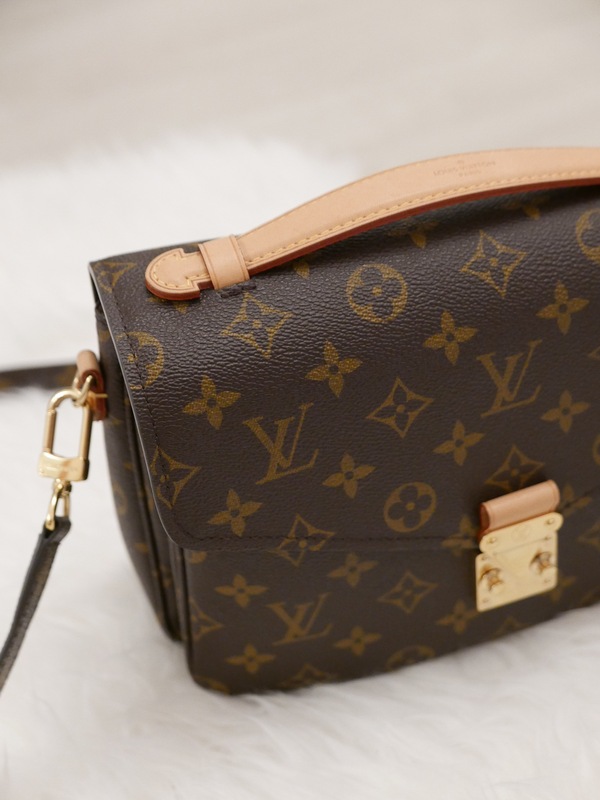 visting paris and london next week and was curious if its still better to purchase LV in london over paris and is it just best to buy LV only in london and other designers in paris? on the hunt for goyard pm and chanel wallet. thank you! love your blog and ig! The LV price difference between London and Paris is not trivial, and it really depends on the currency on the date of your purchase. 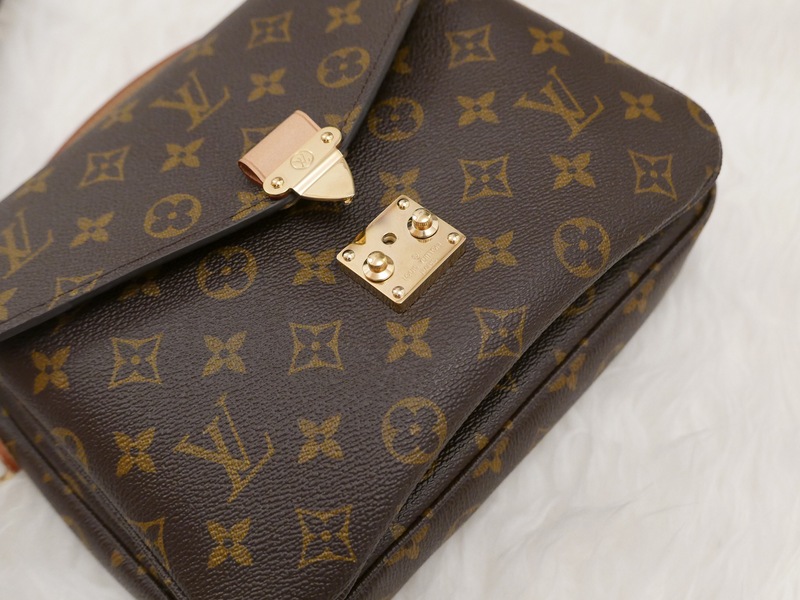 For instance, if you were to buy the Pochette Metis today, it would be about $15 cheaper to buy it in Paris (retail price €1350 – vat refund €162 = €1188 = $1397), rather than in London (retail price £1260 – vat refund £158.50 = £1101.50 = $1412) I only bought it in London because the Pochette Metis was not available anywhere in Paris, and as I’ve mentioned I like to do my luxury shopping in Paris as most of my favorite brands are French, so I would recommend you to do the same, as the brands you’ve mentioned are all French as well. Happy shopping! I was wondering if you think I could purchase at Selfridges in London in the US by doing it over the phone. Or do you have to be in person? I believe they do take orders via phone but you would have to be in the U.K. to receive or pick up the order as they won’t ship the bag overseas due to customs related issues.. Let me know if you have any other questions!